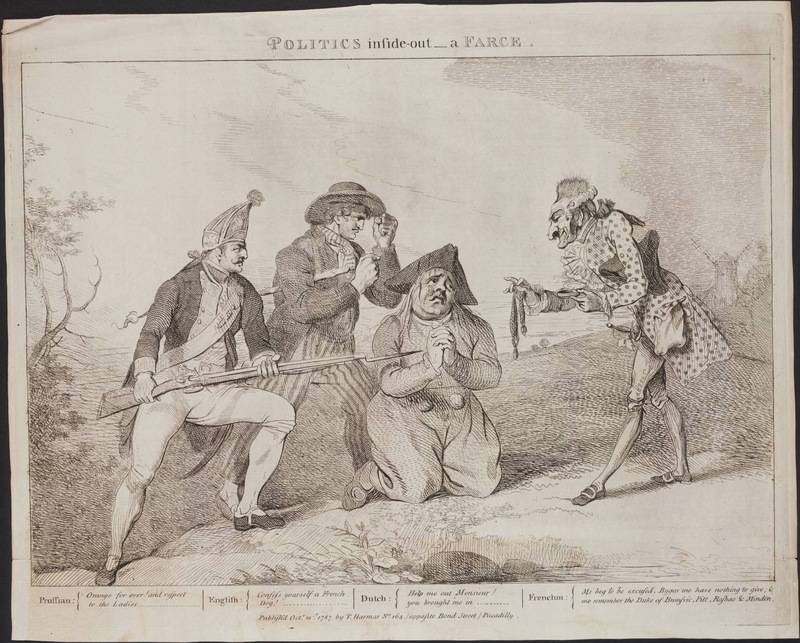 Politics Inside Out_a Farce by T. Harmar, 1787, Yale University Lewis Walpole Library. 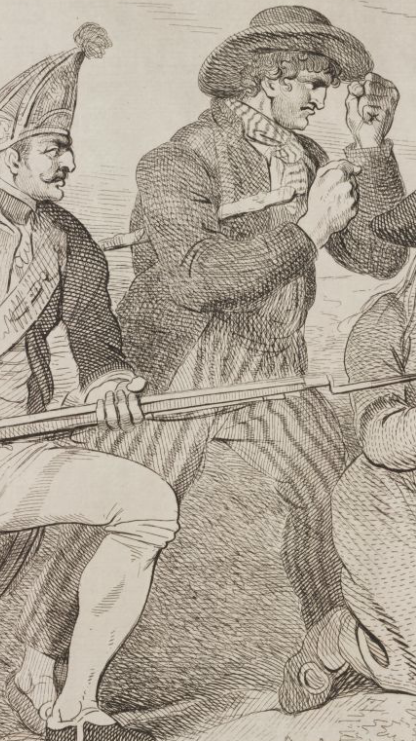 A Prussian grenadier and an English tar threaten a fat Dutchman, who pleads with a nearby Frenchman to save him. Begging his leave, the Frenchman backs away, leaving the Dutchman in a very poor spot. Lifting his fists in a menacing pose, the tar wears a wider brimmed round hat. His neckcloth is striped. The jacket has wide lapels bordered in tape. His waistcoat is a solid color, but it is impossible to tell the arrangement of buttons. Striped trousers complete his ensemble, ending at shoes with oval shaped buckles.